Paper Scraps Archives - Pebbles, Inc.
We love Designer Laura Craigie’s knack for being able to create something beautiful out of nearly anything. 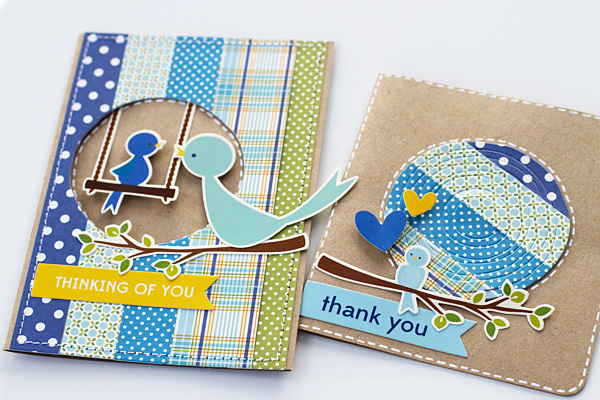 Today she’s showing you a couple of really lovely cards made with paper scraps. 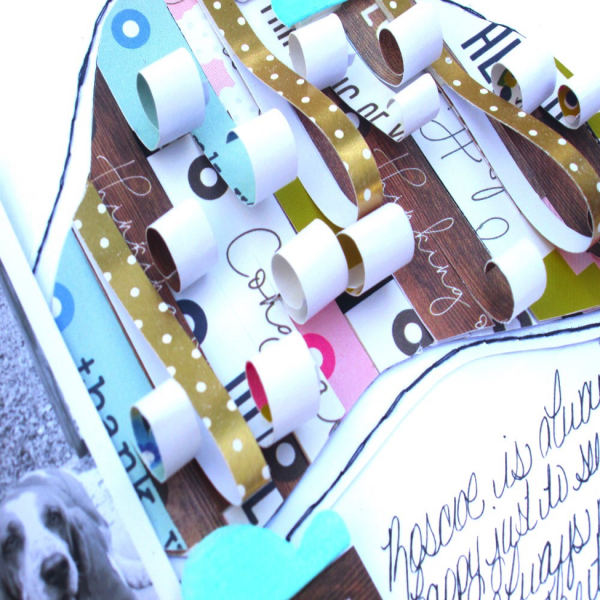 I don’t know about you guys, but when it comes to scraps I seem to end up with a ton of skinny strips! 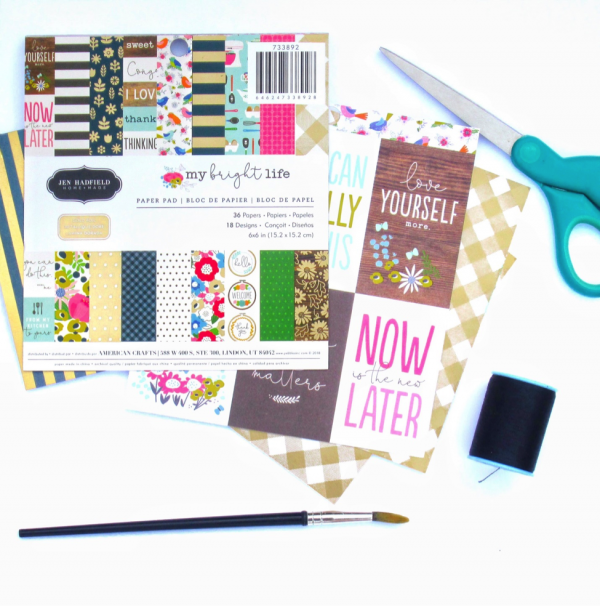 My favourite thing to do with them is to turn those strips into a quick and easy card base. I just cover the front of my card with adhesive and lay down the strips, then trim off any excess. I decided to pull out some scraps from the Family Ties line which is one of my all time favourite Pebbles lines, I just love the colour palette! I decided to make my first card a window card, and used a wonky circle die to cut out the window. I added the smaller bird sticker to the inside of the card, and the larger bird sticker is on the card front. 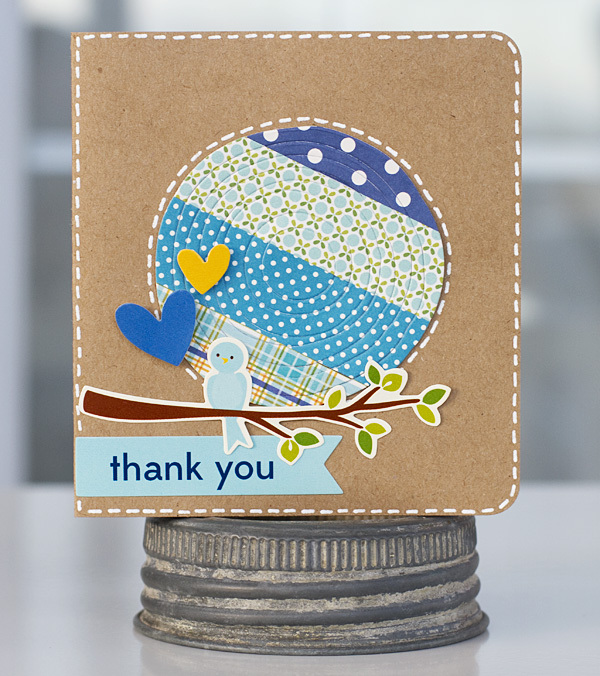 I kept the cut out circle “scrap” from my first card, and used that scrap as a focal point to make a super quick second card. 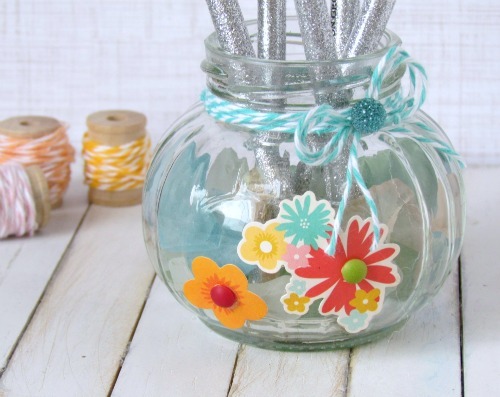 Paper scraps often come in handy when creating a fun little gift or dressing up a boring household item. 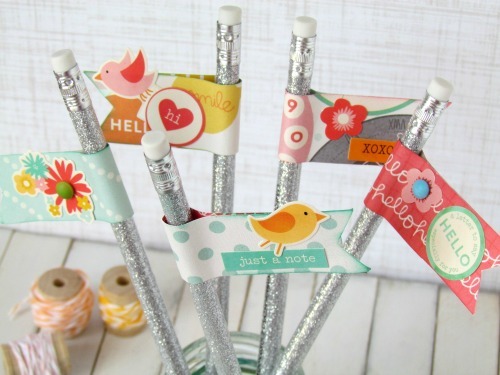 Today Designer Holly Gagnon is sharing a fun take on using paper scraps to create cute pencil toppers. I was happy to see my monthly Pebbles assignment was to create a project using scraps from any Pebbles collection. Like most of us papercrafters, I have a lot of scraps. Can’t throw them out. What if I need that one little piece? Using my scraps from the Pebbles From Me to You collection, I put my beloved scraps to use and made a simple pencil topper gift set. The pennant toppers are cut at 4 x 1 inches and I ran them through the Xyron for a strong hold. 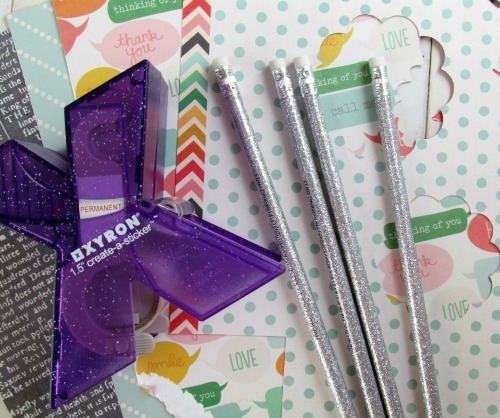 Each pencil topper is embellished with From Me to You stickers and candy dots. 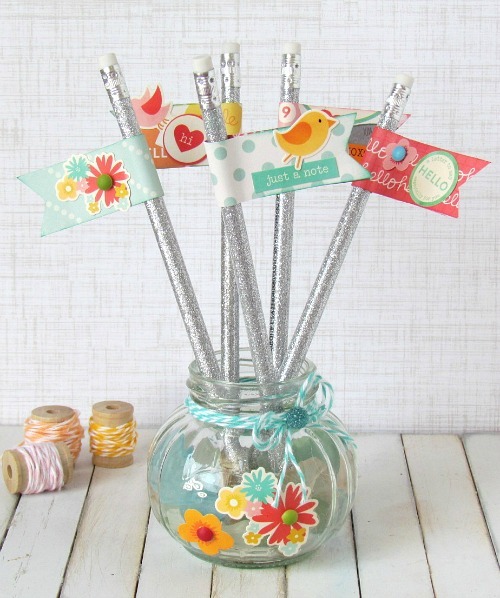 I then stuck the pencils in to a small glass jar filled with sea glass and embellished it with some more From Me to You stickers and Candy Dots.